On the face of it, you could see why reviving Promises Promises would be an appealing prospect – written by Neil Simon from a Billy Wilder film and featuring a score by Burt Bacharach and Hal David. But digging even just a little deeper – a running time of nearly 3 hours and an antiquated set of gender politics made it a tough one to watch, and an even tougher one to excuse in today’s society. 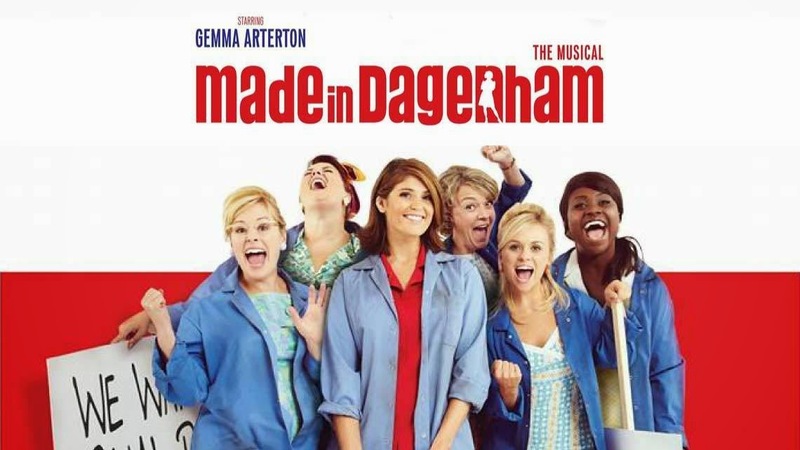 Any semi-regular reader will know the love I had for the late lamented musical of Made in Dagenham so my pleasure at a live cast recording being released was boundless indeed as I always thought that David Arnold’s score was one of the more under-rated parts of the production. And it is so nice to have this kind of full reminder of a much-beloved show although I have to say the first couple of times I listened to this soundtrack, I was still too filled with sadness at its early closing. So here we have it, barely six months after opening, the machinery at Ford Dagenham has ground to a halt for the last time and Made in Dagenham has played its final performance. To say I’m gutted is putting it mildly, this was a piece of shining musical theatre that I took to my heart from the first time I saw it and again on my subsequent two revisits. You can read Review #1 Review #2 and Review #3. But the opportunity to see it one last time was one I couldn’t resist and if a show has to shutter, then the special energy of a closing night is probably the time to do it. A third visit back to this most heart-warmingly lovely of shows and a fine festive occasion it turned out to be. Review #1 and review #2 can be read here and there’s little much to add that hasn’t already been said. There’s much about Made in Dagenham that is indubitably charming and the breadth of David Arnold’s score has a lovely distinct tunefulness that has really worked its way into my memory (meaning I’m the one humming along!). Reader, I went back. Before it had even officially opened. 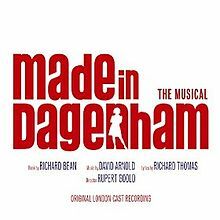 A return visit to Made in Dagenham was never really in doubt and so that’s where I was on Saturday night (on the front row again, there’s really nowhere else to see the show from!) My original review can be read here and I’m pleased to report that the show really has settled into its skin to become something that ought to become a long-running success (though whether it will or not is anyone’s guess). 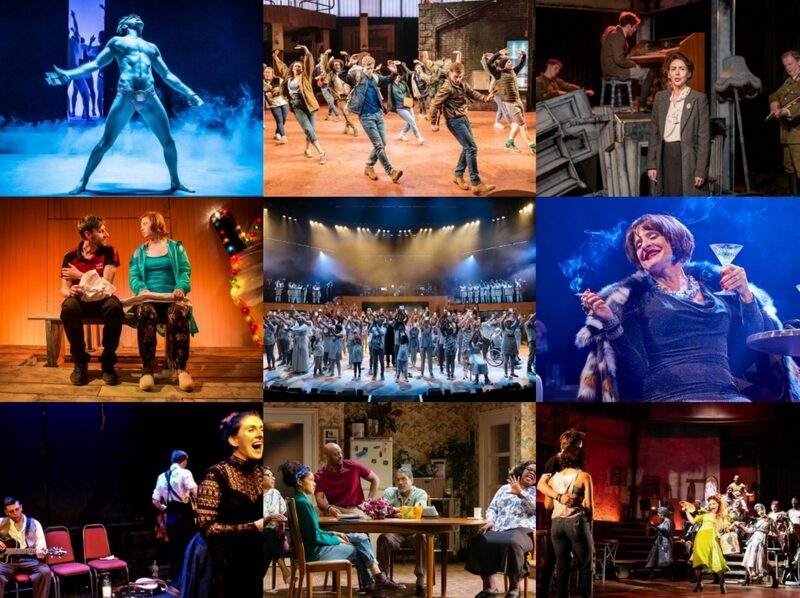 An original British musical full of humour and heart, a little bit of Dagenham goes a long way indeed. 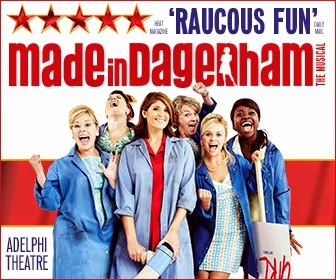 Based on the real-life tale of the Ford sewing machinists whose strike in 1968 kicked into motion a groundswell of a movement that shook Harold Wilson’s administration and culminated in the Equal Pay Act of 1970, Made In Dagenham is one of those rare beasts – a brand new big-budget British musical. William Ivory wrote the story up into a 2010 filmby Nigel Cole but here it is Richard Bean who has written the book, with David Arnold composing the score and Richard Thomas penning the lyrics, with Rupert Goold taking on directorial duties. The show naturally has had a lengthy preview period (opening officially 5th November) and I saw it a week ago, not having intended to write about it, but after a couple of people emailed me to ask my opinion, I thought sod it, I’ll write it up! So take it all with a pinch of salt, I suspect the show may not be to the liking of some but I really rather enjoyed it, with its huge amiability, its cracking lead in Gemma Arterton and that crucial level of interest that comes from a true story (and one whose legacy continues today, somewhat unresolved). I’ll be going back soon but here’s what I thought first time round. It’s a curious thing, to take a relatively obscure figure, base a musical on him that is then named after him, yet leave a vacuum where his central presence ought to be the driving force. 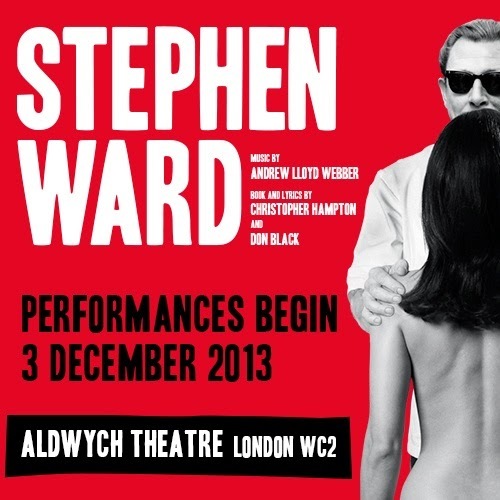 For all that Andrew Lloyd Webber, Don Black and Christopher Hampton place the character of Stephen Ward at the centre of Stephen Ward the Musical, he remains far too inscrutable, far too unexplored for us to buy into the main premise of the show which is that Ward, who committed suicide after being made the scapegoat for the Profumo scandal of 1963, is a tragic victim of Establishment hypocrisy.